Yesterday I had the pleasure of speaking at the Microsoft Ignite conference about how to use PowerShell to get real stuff done with Office 365. The session was in one of the twelve theaters dotted around the exhibition floor and attracted a good number, as evident from Jeff Guillet’s photo (above). My premise is that anyone who wants to run an Office 365 tenant should know PowerShell. This doesn’t mean that you should be a professional programmer (I’m not at this point in my career). It does mean that you should know how to stitch together cmdlets to solve problems, possibly using code snippets found on the web (and tested thoroughly) as a base. I covered four examples and told everyone in the audience that they could find the code online in Petri.com. Here’s a list of those articles. Using information in the Office 365 Audit Log. Using Teams compliance records to find out if a team is being used. Using PowerShell to control Office 365 licenses. Checking email addresses against the Pwned service. 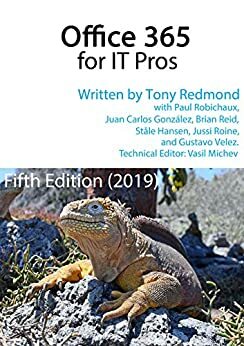 Naturally, if you look in the Office 365 for IT Pros ebook, you’ll find hundreds of other PowerShell examples.